Hummus is a perfect dip to throw together for last minute gatherings, or to serve as a healthy condiment on sandwiches and in wraps. On top of that, it's fast and easy to make rich, creamy hummus at home. 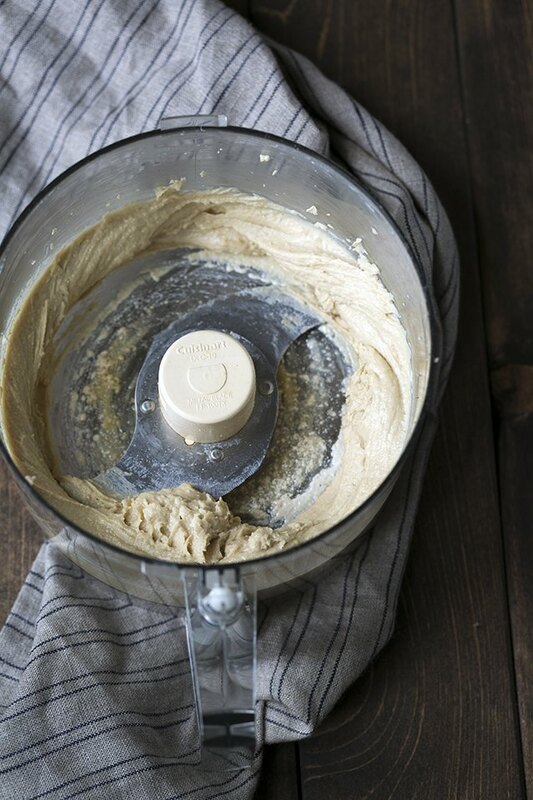 All you need is a food processor, some very basic ingredients, and a few simple tricks! Most traditional hummus recipes use chickpeas, also known as garbanzo beans. These work perfectly well and are delicious, but there's one negative if your goal is creamy hummus. Chickpeas have thin skins that adds grittiness to the dip unless removed. Many creamy hummus recipes suggest removing the individual skins from each bean, but this is a very time consuming process. 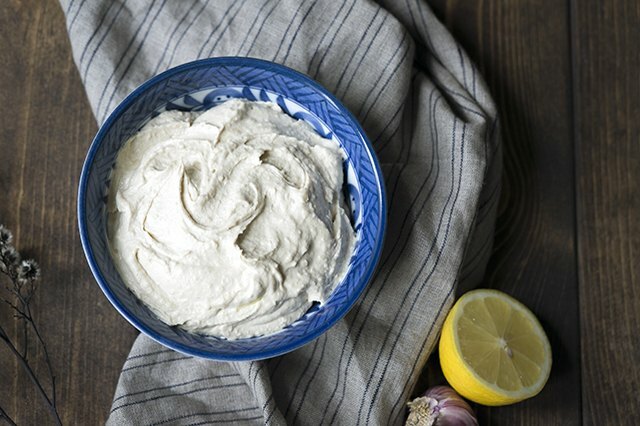 For creamy hummus with less texture, I highly recommend swapping the chickpeas for white beans. Cannellini, navy, or great northern beans will all create the same result. 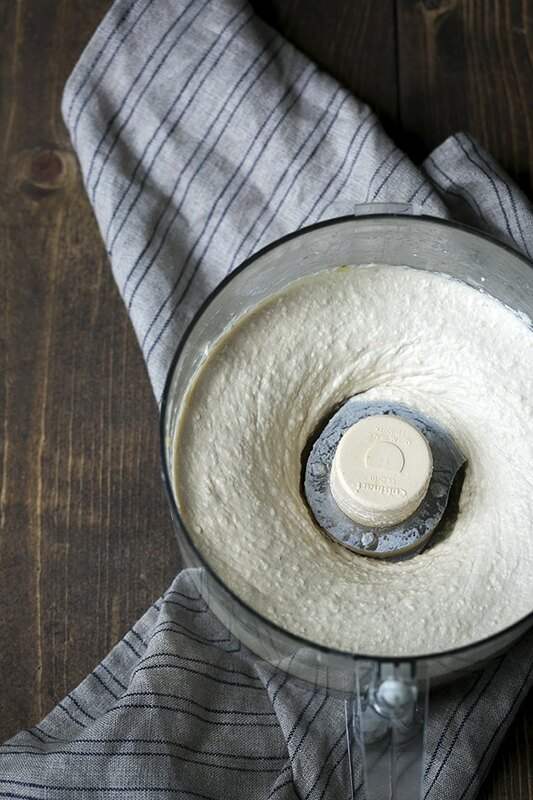 Use ice water to create a fluffy, whipped tahini base. 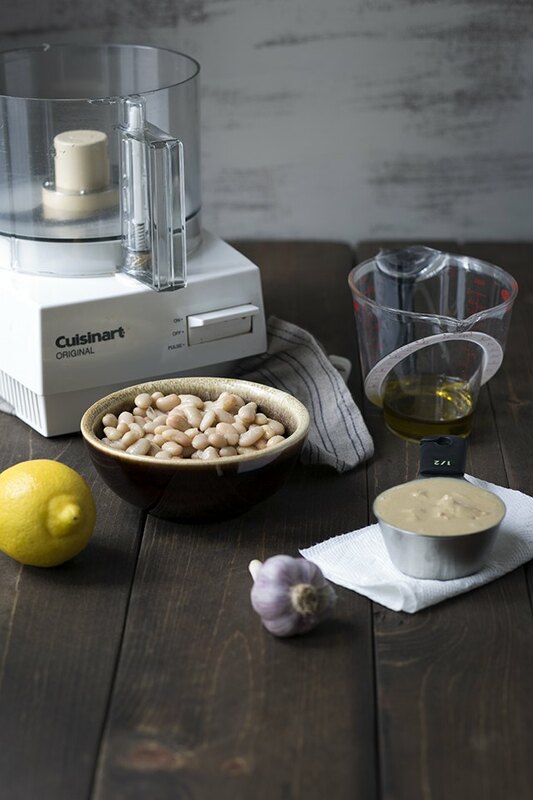 Add the tahini to the food processor and pulse several times to loosen it up. Turn the machine on and slowly pour in the ice water. 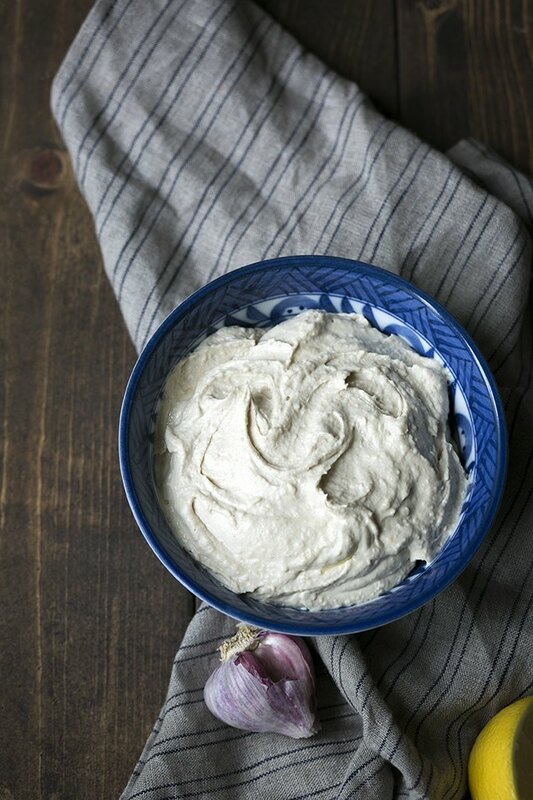 Allow the tahini and ice water to combine until they reach a creamy, whipped consistency. (If necessary, an additional 1 to 2 tablespoons ice water can be added.) Scrape down the sides with a spatula. Add the beans and garlic to the food processor. Turn the machine on and combine until smooth, 30 to 60 seconds. Scrape down the sides with a spatula. With the machine running, slowly add the olive oil, followed by the lemon juice and salt. Taste, and add more salt if desired. Scrape down the sides one more time, then allow the machine to run for another 30 to 60 seconds. Scrape into a bowl and serve. Store in the refrigerator for up to one week (if it lasts that long! ).